This past summer I had occasion to visit Oxford Mississippi for a conference on William Faulkner, hosted by the university he briefly attended, Ole Miss. Owner of Faulkner’s estate, Rowan Oak, since 1972, the university often stages events on the novelist’s former grounds—particularly to celebrate meetings devoted to his work. While I had wandered around the property a few times during my stay on campus, I thought I’d wait until the capstone barbecue at the conference’s close to enter the house itself. More fool me. A rainstorm forced the festivities into a college hall, and I had to depart early the following morning. 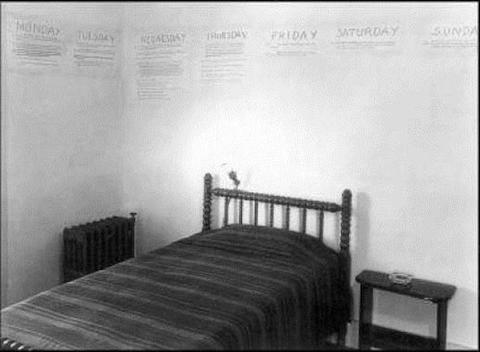 Plotting the chronology on the walls helped him become fully immersed in the novel’s density, but, writes education blog Enotes, “not everybody was so pleased with the method”: "Faulkner’s wife, disappointed with the decision, had the walls repainted. 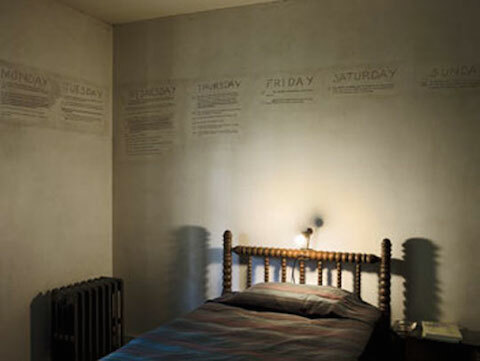 In return, Faulkner rewrote the outline and then shellacked the wall to ensure a permanent record." There are much worse ways to antagonize one’s spouse, I suppose, but I’m sure that wasn’t his primary intent. Faulkner considered the novel his masterpiece—Pulitzer and National Book Award committees agreed—but critics have not been so kind. It’s now one of his lesser-known works, one of the few not set in the fictional Yoknopatawpha, a stand-in for his own Lafayette county, which he mined for stories all of his mature career after some brief adventuring abroad. Perhaps his defiant preservation of the plan for A Fable represents his deep desire to leave behind the “postage stamp” of Oxford and its surrounds—to venture into other imaginative territories. If so, his plan failed. Faulkner will be forever associated with the South—with Mississippi, and with Rowan Oak. And like so many devotees, I’ll likely make my pilgrimage to his well-preserved home a yearly event. The next time I’m down there, however, I’ll actually make it inside to see the writing on the walls. Thanks for the eNotes link back! Great write up! The second I saw that writing on the wall I thought, bipolar, I’ve seem quite a bit of bipolar writing on walls, remarkably similar with different people, love of authoritative commanding capitals seems to be universal. So I googled Faulkner, there do seem to be quite a few claims he was bipolar, including at least one in a book. I don’t know if this is contested.